Scandinavian brand Volvo hit the headlines recently with its promise to electrify all its new models from 2019. The news was widely shared but not always accurately, so it’s worth pausing to assess the pledge. First, the switch to electric motors applies to new designs not to existing ones. Models already in production at the end of 2018 – step forward this year’s new XC60 – are likely to continue to be sold both with and without electric propulsion for several years to come. We’ll have to wait and see how quickly piston-powered Volvos are phased out but it could take until 2025 for the last old-style model to retire. Secondly, Volvo promised electrification, not electric cars. Petrol and diesel models are still likely be designed after 2019, but they’ll be plug-ins or hybrids, at the very least benefiting from energy regeneration when slowing down and an electric boost when accelerating, to the benefit of fuel efficiency. Volvo’s move is very welcome, but it’s not quite the death knell for fossil fuels described in some over-enthusiastic reports. Indeed it’s pretty much in line with what the whole car industry must do to meet future emissions regulations. However, customer demand for electrification may arrive more quickly than even Volvo expects. When the Swedish company introduced the plug-in T8 Twin Engine edition of its XC90 a couple of years ago, for example, it was expected to account for one in ten sales. Today, the T8 makes up about 28% of sales, almost three times the initial forecast. 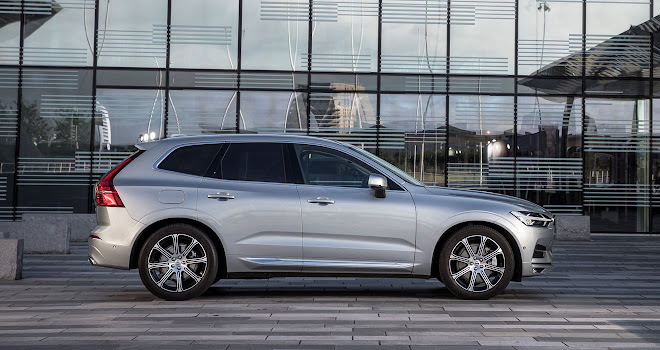 The smaller XC60 will also be offered with a plug-in T8 powertrain, which Volvo expects to make up about 12% of sales. That prediction may turn out to be pessimistic too. 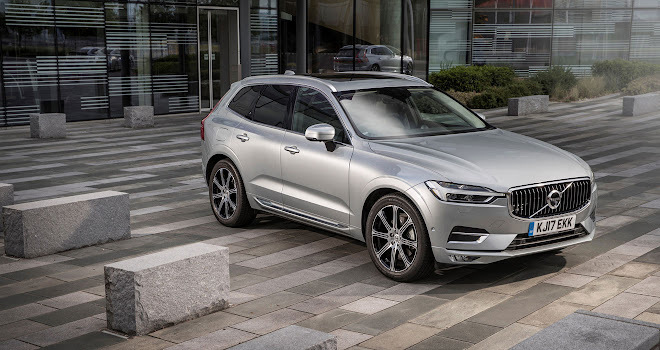 The plug-in XC60 isn’t due until the last quarter of this year. Until then Volvo’s new SUV must make do with diesel or petrol power. There’s a D4 diesel engine producing 190bhp and 400Nm of torque, a D5 diesel offering 235bhp and 480Nm, or a T5 petrol promising 254bhp and 350Nm. When the petrol-electric T8 arrives it will top the tree with a prodigious 407bhp and 640Nm. The T8 will be the most expensive XC60 by far, at £57,950 on the road, a big step up from the entry level D4 diesel at £37,205. The most popular choice is likely to be the D4 in R-Design trim, which costs £39,705 before options. Unsurprisingly the T8 will be the most eager, zipping to 62mph in just 5.3 seconds while even the slowest, the D4, requires only 8.4 seconds to reach the same benchmark. On the road, the D4 feels easily brisk enough. 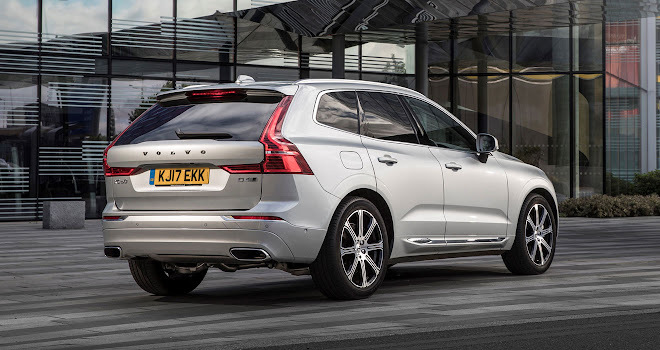 Despite svelte soft-roader styling, all editions of the XC60 feature proper all-wheel-drive. They all come with the same eight-speed automatic transmission too. It may be a matter of taste, but the exterior styling of the new Volvo looks pretty classy to me, with a much more relaxed and laid-back demeanour than the tall, forward-leaning design it replaces. Among other highlights, Volvo draws attention to the cut of the doors, which overlap the sill at the bottom. This means the sill itself stays clean and won’t cover your calves in mud when you climb aboard. The new XC60 shares a lot under the skin with the recent V90 estate and 2014’s XC90, but Volvo’s kit of parts is highly flexible so there are no obvious compromises in the newest car’s proportions. Indeed the only dimension that is fixed across Volvo’s 60- and 90-series cars is the distance between the front axle and the base of the windscreen (a structure that influences crash safety and also contains a lot of hidden complexity such as the heating and ventilation system). At just over 1.9 metres wide (not including mirrors), the XC60 is about 2cm wider than a V90 estate, and a welcome 11cm narrower than the lardy XC90. Volvo’s biggest car was sized with American tastes in mind and the slimmer XC60 feels a much better fit for UK streets and parking spaces. In comparison to the old XC60, the new model is 1.1cm wider, 4.4cm longer, 1.4cm lower and sits on a wheelbase that’s been stretched by 9.1cm. At about 4.7 metres nose to tail the XC60 lines up against similarly sized rivals, such as the Nissan X-Trail or Land Rover Discovery Sport, that come with the option of seven seats. Perhaps surprisingly the Volvo is strictly a five-seat car. As consolation, that means there is always space for a spare wheel under the boot floor, as well as the pressure tanks for optional air suspension. Inside, similarities to the V90 are noticeable, and that’s a very good thing. The front seats are identical, as are the steering wheel, switches and stalks. By pooling parts across different models, Volvo has been able to cut the cost of raising quality, and everything you touch or look at seems very nicely finished indeed. 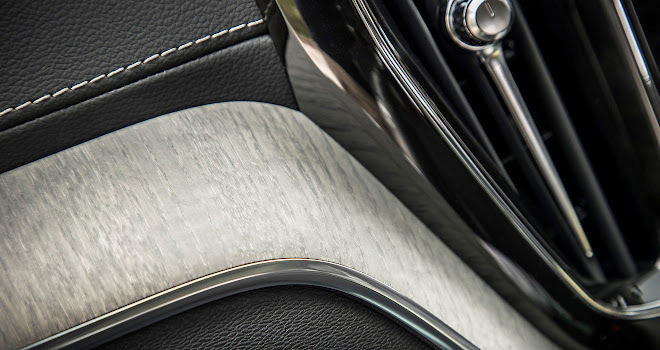 The air vents swivel in their orbits with oiled precision, for example, and the ribbon of wood or metal mesh trim that meanders across the dashboard is the real thing. The interior feels spacious and mostly comfortable, though I found the more sporty of the two seat designs dug into my legs a bit. That might just be me. Thankfully, once up and running Volvo’s Sensus software proves responsive, well laid out and reasonably intuitive to use. You can pinch and swipe the map during navigation guidance, as long as you remember to maximise the view first. 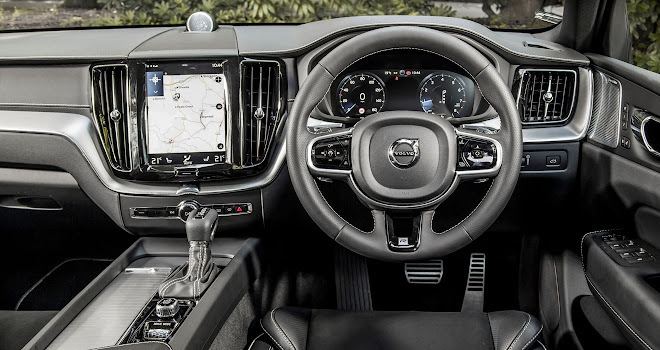 Navigation is provided across the range, with turn guidance repeated in the binnacle and in the bright, crisp head-up display where the latter is fitted (it’s a £750 to £1,000 option depending on trim level). A 12.3-inch fully digital instrument panel is included from the mid-range R-Design trim level upwards. 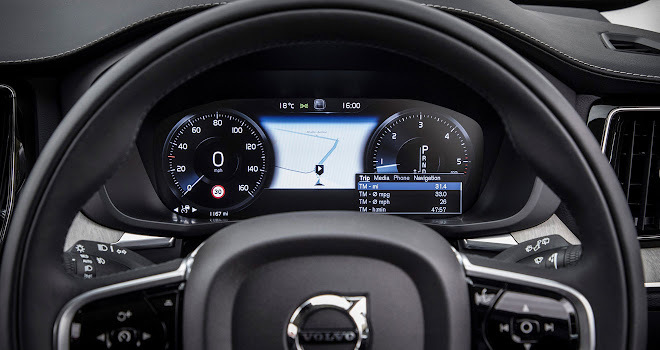 Heating controls appear at the bottom of the centre screen, meaning you do have to take your eyes off the road to use them – a surprising choice in a safety conscious Volvo. Naturally there are lots of clever safety systems fitted as standard. 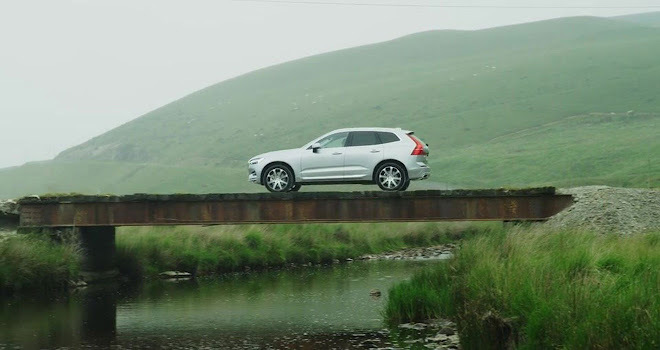 The XC60 is the first Volvo to include safety measures that intervene with the steering. A feature called Steer Assist, active between 31 and 62mph, is designed to add steering effort and use differential braking during emergency swerves. A related feature, Oncoming Lane Mitigation, keeps an eye out between 37 and 87mph and will tug the wheel to assist if it detects an impending head-on collision. Meanwhile, an active blind spot system will suggest via the wheel when it’s a bad idea to change lanes due to another vehicle alongside. 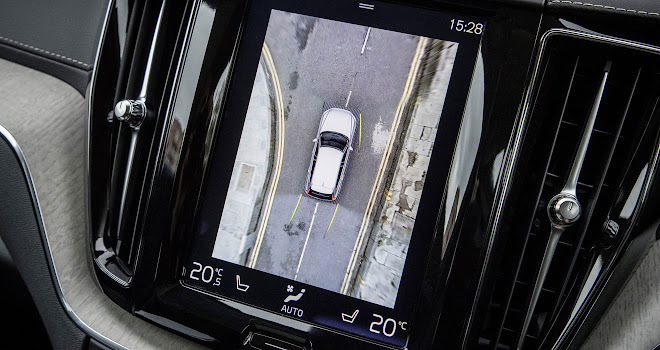 Pilot Assist is also fitted, which is an adaptive cruise control function with lane-keeping action, adjusting the car’s steering to stay in lane on dual carriageways. I’ve tried this before in the V90 and not liked it, but in the XC60 it seemed much more reassuring. This may be down to speed – there were lots of thickly clotted traffic jams when I tested the XC60, where Pilot Assist comes into its own. 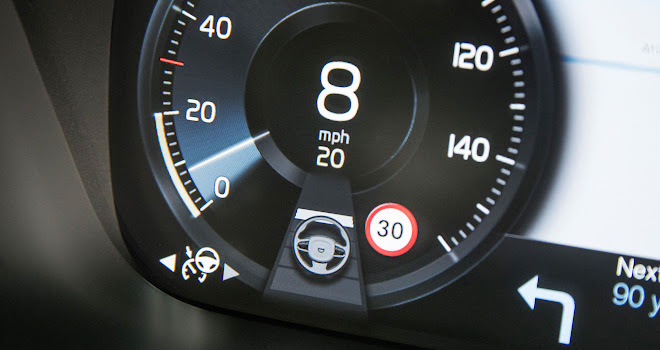 At higher speeds and on clearer roads the system is more unnerving as it steers on your behalf, but its assistance is also less useful when the road is clear. 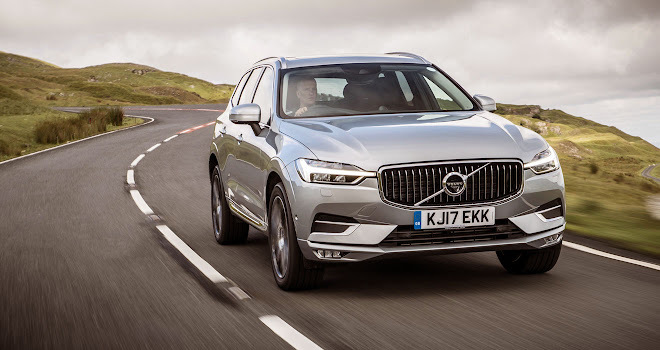 As with other newer Volvos, there’s the option to drive the car in Eco, Sport or Comfort modes, as well as an Off-Road setting for loose surfaces. On the (very) rainy day of my test, I found Eco mode dialled the aircon back a little too much and let the car steam up, though it was otherwise perfectly fine. The steering in Comfort or Eco is rather light and easy to twirl, which I quite liked. The XC60 felt very reassuring to drive and easy to place accurately, with excellent vision in every direction giving a good sense of where the edges of the car lie. And if you’re still not sure, there’s a 360-degree surround view camera feature on the options list. As we’ve come to expect of Volvo, the new XC60 prioritises comfort and serenity over white-knuckle performance. It’s admirably quiet, rides extremely smoothly whether on springs or air suspension, and should help you remain calm while all about are losing their rags. Top marks, in fact. I look forward to seeing how it fares with a plug.